Monalisa Chinda in Jewel by Lisa at the Monalisa Magazine Launch in Lagos | First Look at the “Luxury” Mag! 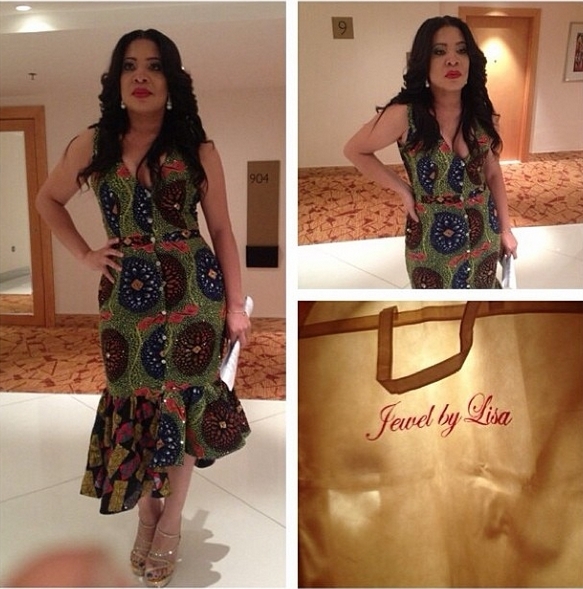 Monalisa Chinda in Jewel by Lisa at the Monalisa Magazine Launch in Lagos | First Look at the "Luxury" Mag! Oprah watch out, there’s a new self named magazine set to take over the world. 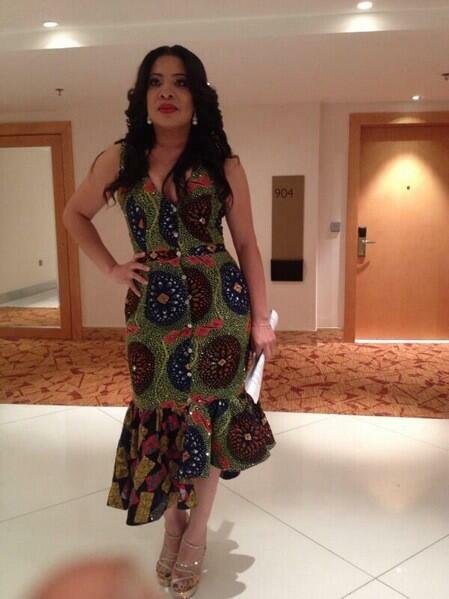 On Friday 22nd November 2013, Nollywood star Monalisa Chinda launched her magazine – Monalisa at the InterContinetal Hotel, Victoria Island, Lagos. The movie star who said the publication will be all about “luxury, lifestyle and fashion”, sizzled in a stylish dress by Jewel by Lisa. The sleeveless Ankara dress from the Nigerian design label features a button and ruffled hem. Mona the Diva, styled the frock with silver drop earrings, and gold strap heels. First look at the magazine! This first cover get as e be o! Live. Laugh. Love. Congrats Monalisa. God bless your new venture. Monalisa, the only luxury thing you’ve ever experienced is that JBL dress on you. Why is your skin being washed out on the cover too? I tire. Monalisa is really looking like her magazine….Luxury!! fingers in the air to indicate the marks, lol. BN, no try at all. If they join the dissing queue,folks like us will be rendered jobless. BN,leave the dissing to experts BTL. Lol! I know, we got this right? LMAO the “luxury” headline was the first thing I noticed too. But BN we are accommodating. We welcome you down to our level of poor behaviour and rudeness. in other news Ruky Sanders shoes are to die for. After reading that expose by the former editor of this magazine, I haven’t quite felt the same way about Monalisa. I guess time will tell with the success or failure of this magazine, if his allegations are true. i like her hair and outfit. but why do people call monalisa beautiful? 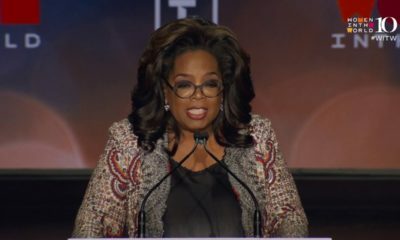 is it just her skin tone? let see just how this “luxury” magazine will do. methinks monalisa is “selling” something else with this outfit and magazine cover. nollywood hustling, more grease to your elbows, just remember your daughter. 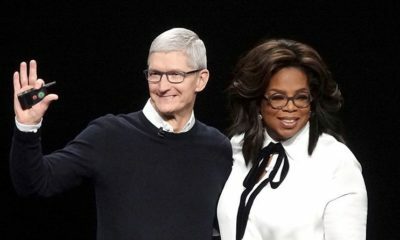 Hmm…comparing a mag that doesn’t tell anything from its cover and the publisher, to Oprah’s OW is serious mockery. Monalisa, if u don’t have an experienced editor, get one. If u do, listen to her. That’s if u want this to b a success. Magazine publication aint no beans. d cover page did not just do justice. great idea for her to start her own magazine though! Did Hollywood Star Eva Mendes x New York & Company JACK Lisa Folawiyo’s Print? See & Decide!